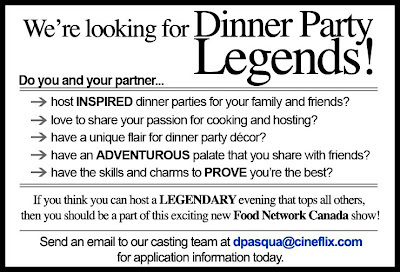 Here's your chance to be the next dinner party super-duo on this new Food Network Canada show. They're looking to cast the show ASAP. Each episode includes 3 teams of 2 people attempting to stage the BEST dinner party. 2 judges will render the final verdict.